BRUSSELS – Critics have called new World Bank president David Malpass an arsonist in charge of a fire department, because of past comments he made on Bank salaries and loans to China. But it’s far more important to focus on improving progress toward the World Bank’s core mission of ending extreme poverty. 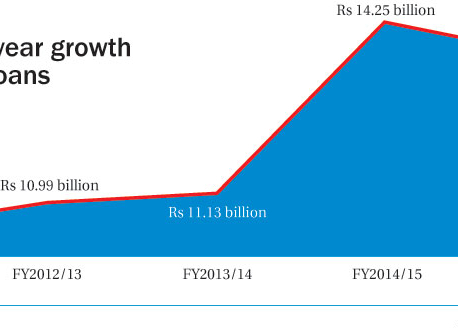 In its most recent fiscal year, the Bank dished out nearly $67 billion in financing, investments, and guarantees. But under the “new course” set by its previous president, Jim Yong Kim, in 2016, the Bank aims to direct more than a quarter of its funding toward climate change. Moreover, thanks to Kim, the Bank insists that every single dollar it spends must take account of climate change, and it has ended financial support for coal-fired power plants. The argument for approaching development through the prism of climate change is that rising temperatures exacerbate challenges such as malaria and lack of access to education. Though this is true, almost all problems impact all others. An increase in malaria makes children more susceptible to hunger; poor nutrition and a lack of sanitation worsen educational performance; missing school leads to greater poverty; and so on. The more important consideration is which policy helps the most. Should we help the poor by cutting carbon dioxide emissions now and reducing temperatures a bit in 100 years’ time, or instead focus immediately on malaria and education? The evidence clearly shows that direct policies are much more effective. The World Bank’s climate focus is also at odds with what the world’s poorest citizens want. When the United Nations asked almost ten million people around the world to list their priorities, they emphasized better education and health care, less corruption, more jobs, and affordable food. Global warming came last out of 16 issues. Fossil fuels do contribute to global warming—but also to prosperity and wellbeing. One billion people worldwide live in homes that lack the energy to light even a single bulb. And more than three billion live in countries without reliable, 24-hour energy networks that can power hospitals and factories. In practice, the World Bank’s policy of ditching fossil fuels and adopting a “climate lens” often means supporting off-grid solar cells that provide only enough power for a single lightbulb or to recharge a mobile phone. In some places, that can be important. But in most situations, off-grid cells are useless for tackling the main power challenges of the world’s poor. No country in history has become prosperous and globally competitive through off-grid energy. Every high-income economy relies on abundant, cheap, and mostly fossil fuel-driven energy. At the same time, three billion people currently suffer from terrible indoor air pollution, because poverty forces them to burn dirty fuels such as wood and dung to cook and keep warm. But solar panels cannot power clean stoves or heaters, or refrigerators that would stop vaccines and food from spoiling. Nor can they power the agricultural and industrial machinery that supports jobs and pathways out of poverty. In that respect, distributing solar panels is mostly a way for rich people to feel good about taking action on global warming. Rich and poor countries alike use coal because it is often still the cheapest, most dependable source of energy. The International Energy Agency estimates that even by 2040, new solar and wind power will still be more expensive in all major markets than existing coal, after the intermittent production of green energy is taken into account. Similarly, a Copenhagen Consensus study looked at the effects of building coal-fired power plants in Bangladesh. The study estimated that these plants would cause global climate damage worth $0.6 billion over the next 15 years. That’s not trivial. But by increasing the energy available for industrial development, the project would generate total benefits of $258 billion— about 500 times greater than the damages. As a result, the average Bangladeshi would be 16% richer by 2030. The project could afford to offset emissions and still be hugely effective. These are the calculations the World Bank should make. By denying a loan that would finance such coal-fired power plants, the Bank would avoid 23 cents of costs while foregoing $100 of development benefits. That’s neither moral nor sensible. There is a direct connection between power supplies and prosperity. The World Bank itself recently published a study suggesting that living in a community with power shortages reduces a person’s chances of employment by 35%-41%. And unsurprisingly, another study showed that distributing solar panels has no measurable impact beyond providing some electricity, and does not increase savings, spending, employment, income, or educational access for children. But Malpass must first refocus the Bank on its core mission. Despite its poorly considered climate focus, the Bank does a lot of important work. 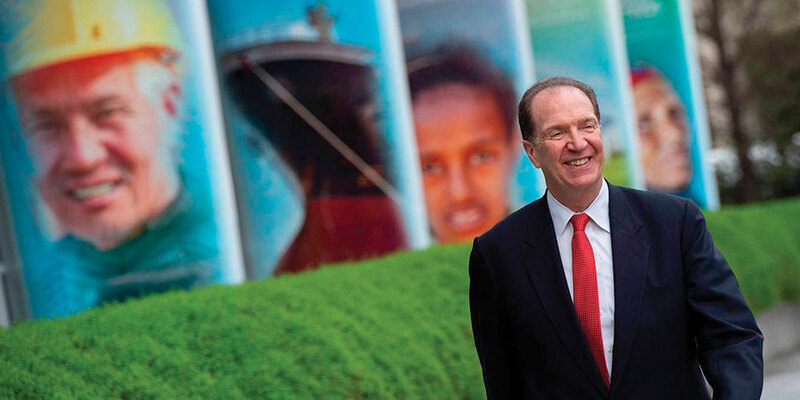 Malpass should ensure that it concentrates on its most effective initiatives—including freer trade, combating tuberculosis, early childhood nutrition, family planning, and computer-aided education. The new World Bank president has a chance to make his mark on a still-valuable organization. He should start by making a renewed commitment to eradicating poverty—including the energy poverty that wrecks so many lives. Bjørn Lomborg, a visiting professor at the Copenhagen Business School, is Director of the Copenhagen Consensus Center. His books include The Skeptical Environmentalist, Cool It, How to Spend $75 Billion to Make the World a Better Place, The Nobel Laureates’ Guide to the Smartest Targets for the World, and, most recently, Prioritizing Development.